It was quite sunny yesterday so I thought we would venture out for a little walk. 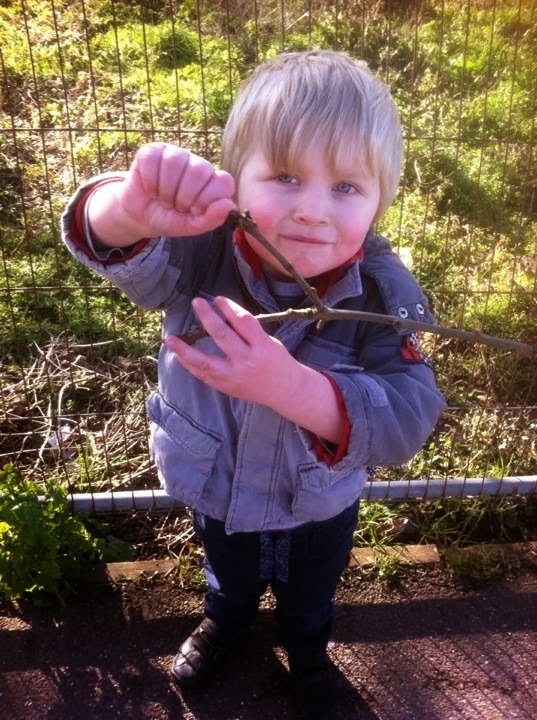 Harvey, as you know, has a hobby of collecting twigs for his collection. I know, poor little boy! Does he have no real toys?! 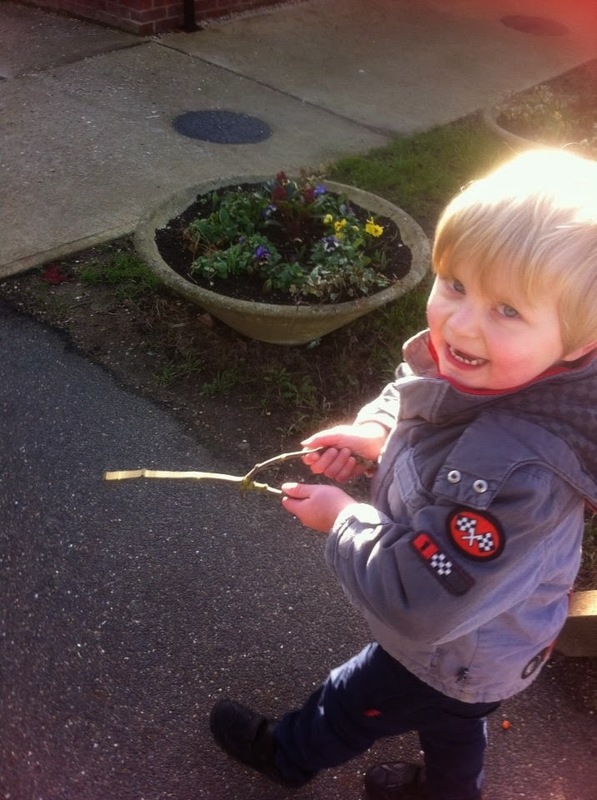 He found a twig shaped like a 'Y' and started water divining. Where he has seen that I don't know but off he went! It kept him busy and allowed us a lovely walk out without the usual repetition of me saying "wait Harvey, wait." 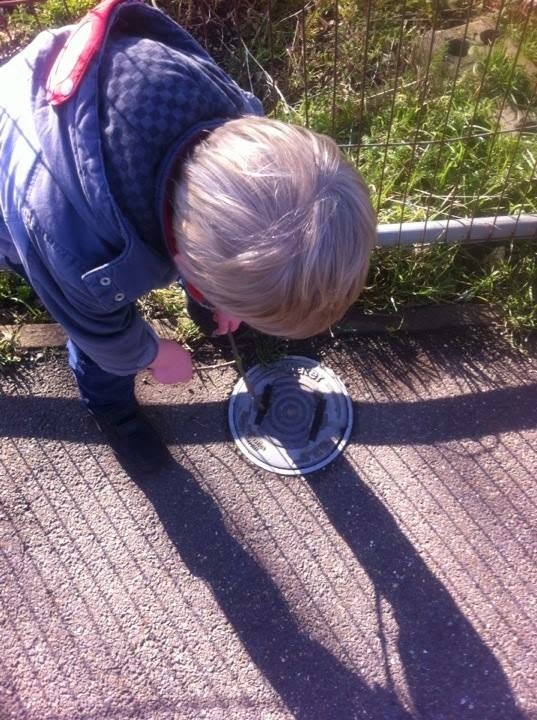 This was a drain in the village where Alyssa fell off her bike and her bell fell off straight down the grate. I'm not sure if his twig worked or he just read it, but water was found.